RIJEKA 2020 European Capital of Culture organizes a 3-day international conference on Culture Branding, as part of The Classroom, a local community and cultural sector capacity building programme. 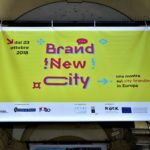 We have been entrusted to run the workshop “Branding the City: Real Meaning and Scope”, where the exchange with participants will be organized into four slots: Why city branding matters?, Cultivating uniqueness – from city narrative to city brand, Communicating Rijeka visually, and Mix of communications. A spotlight will be put on new perspectives on culture and cultural heritage to make the most of them when branding and marketing the contemporary city. Over there, we will share the stage with some renowned brand designers and cultural management teams like Erik Kessels (I´m Amsterdam), Boris Ljubičić (Croatia’s visual identity), Kai Amberla (Finland Festivals) and MUZE. Over the past years, TASO has disrupted the city branding field from a view closer to integrated urban development rather than conventional marketing, providing leading expertise to large-scale transnational projects like CityLogo, AT.Brand and ROCK.